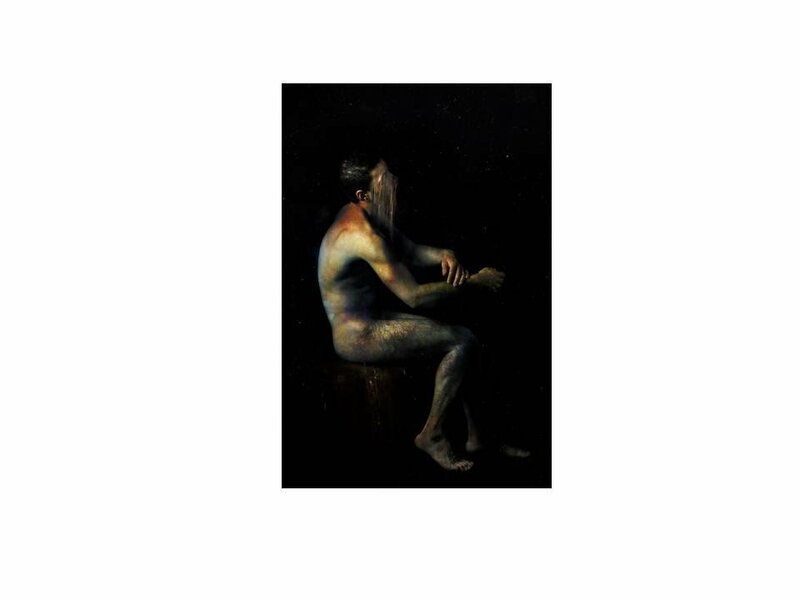 Our artistic exhibition funded by you! Today we want to share with you, our Global Giving donors and supporters, the results of the second version of the exhibition HIV: a glance through art, that was funded with the resources crowd-sourced thanks to the GG Platform. Our partners at Comfenalco supported us with the set-up of the exhibition. Each presentation is an artistic interpretation of the artists and shows his or her personal perception regarding the subject of HIV and does not necessarily reflect our position regarding STDs and HIV. 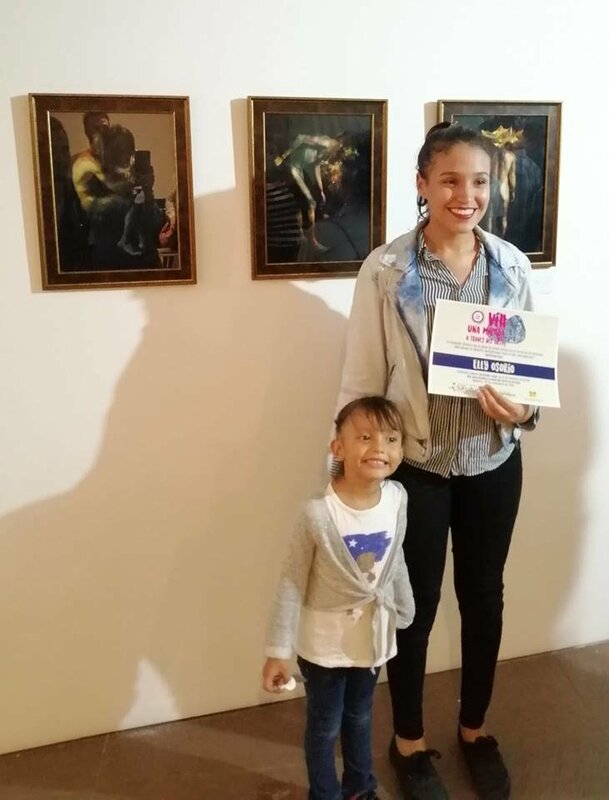 In the second version of our artistic exhibition that aims at increasing awareness of the HIV infection, Elly Osorio occupied the 1st place with her series of artworks titled Ruptures. 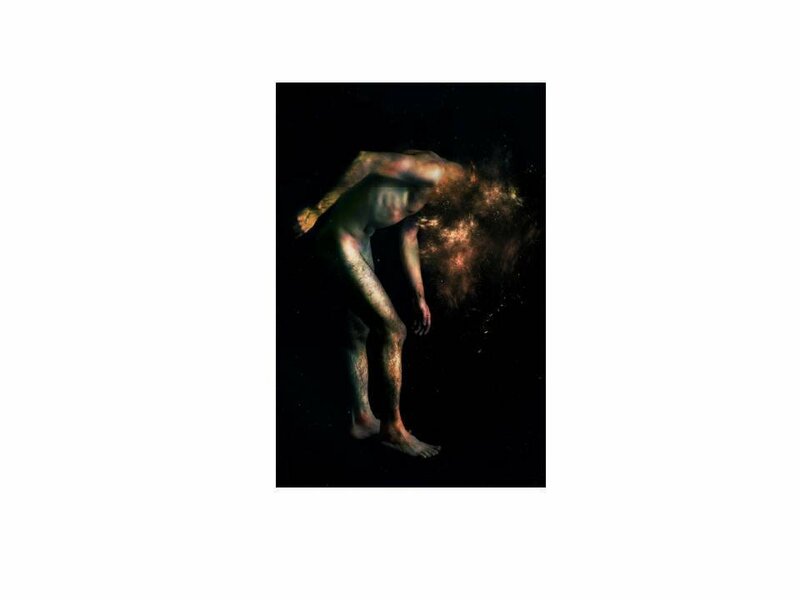 "This work represents HIV as a symbolic burden, it is defined as the emotional rupture it causes and the process while the person vanishes for himself and for society, art helps to transform that reality and question it, so my work brings out an illness replete with myths, ruptures and for some surrealists, causing society to perpetuate discrimination against these people, making them almost invisible ", said the artist. 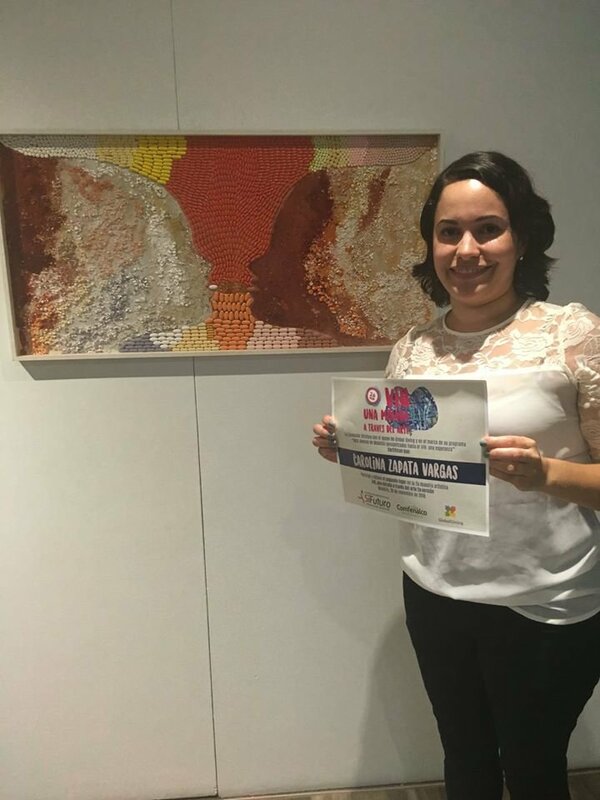 Carolina Zapata Vargas obtained the second place with her work using the technique collage with pills. The artist describes her work in this way: "Antirretroviral therapy (ART) has saved thousands of lives around the world, before people knew who was living with HIV / AIDS, many people died. Today, thanks to medications, people with HIV / AIDS have increased life expectancy and life quality. 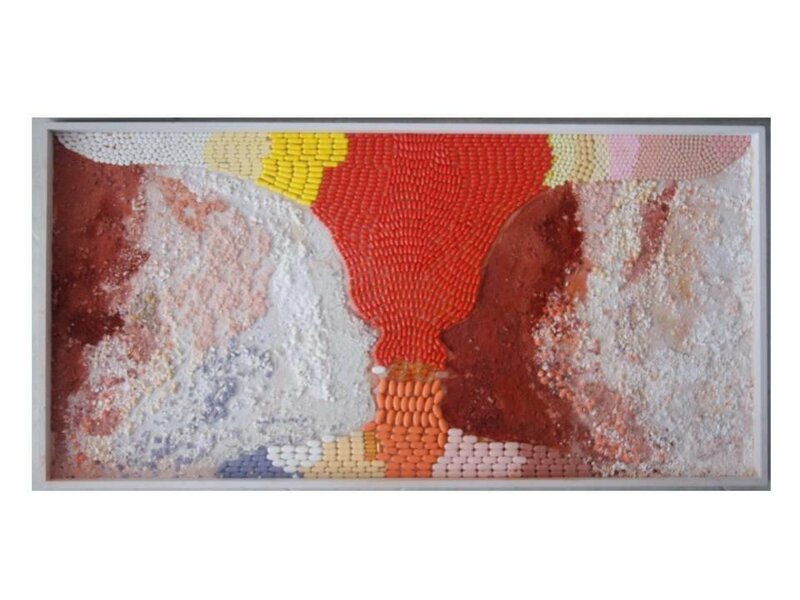 This work reflects both the amount and the variety of pills that should be taken daily by a person living with HIV and also alludes to the adherence that must be observed by those who require such therapy, which is essential for the treatment to be successful. It also exhibits the therapeutic value, both individually and jointly, of the drugs that make up what was called the “cocktail” (...). The faces represent those who live with a virus, the one who has suffered the consequences of a disease, but who undoubtedly has a life as personal as yours and mine". 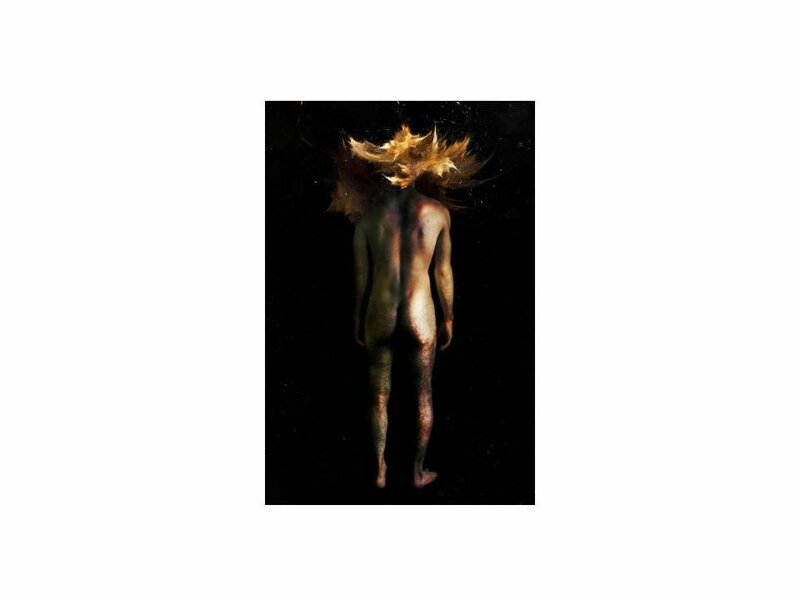 John Anderson Arango Sáenz presented three photographic works, of which our panel of judges selected two titled "The others mine" and "And now my life smells like a flower". 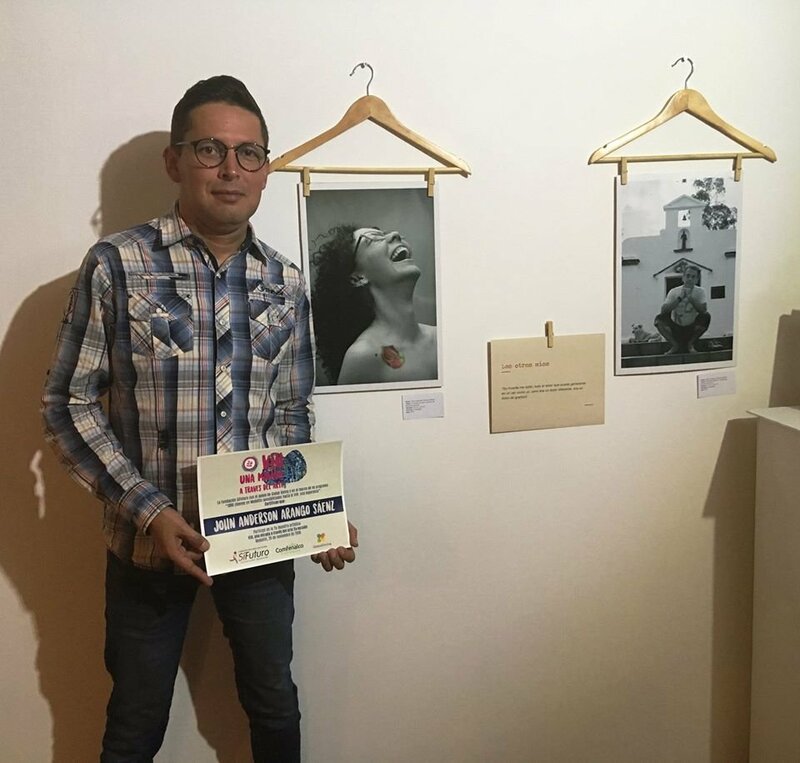 These are some sections of how the artist presented his work: "The photographic images (...) are part of the PARTIENDO DE SERO project, a chain of positive stories, the result of joint work between the therapeutic group of people living and living with HIV and the RASA Foundation. 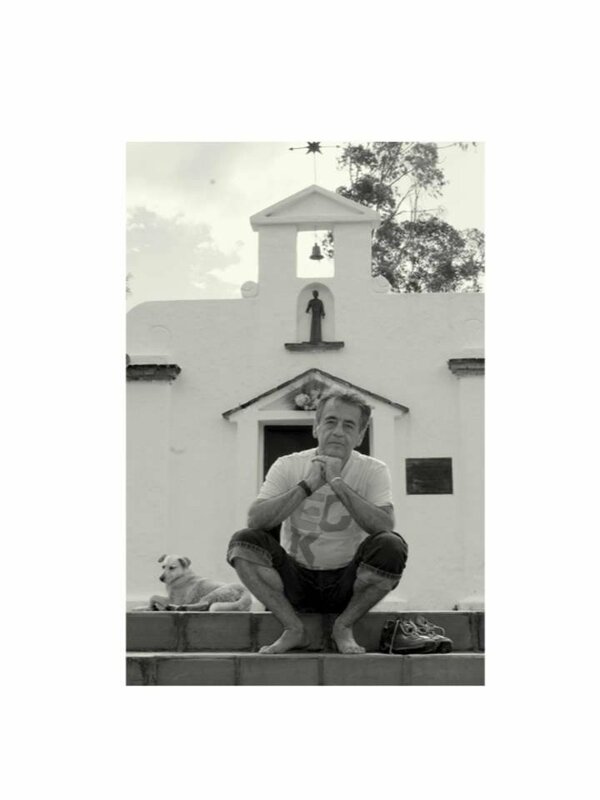 These photos are part of the photographic exhibition that bears the same name and includes, mostly, life stories shared with the writer Roberto Restrepo Restrepo and whose narrative, mostly, was drawn up by him. (...) The result is a text that seeks to portray some of the different realities that are lived around the dignity of HIV (...). 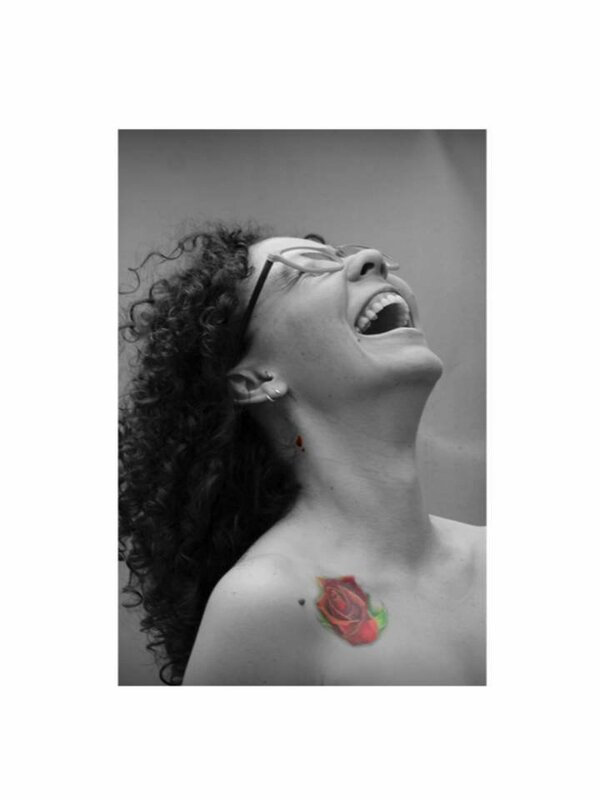 The text and its photographs invite the rupture of imaginaries and stereotypes around sexuality, diversity, love, family relationships, suffering and the aspects that touch us as human beings (...) These photographs seek to illustrate, transmit, communicate and invite to broaden the view in front of a condition of life surrounded by myths. (...) "
Thank you again for helping us make this second artistic exhibition a success and for endorsing our mission of sensitizing and educating about the HIV infection! Stay tuned: our new project is live! 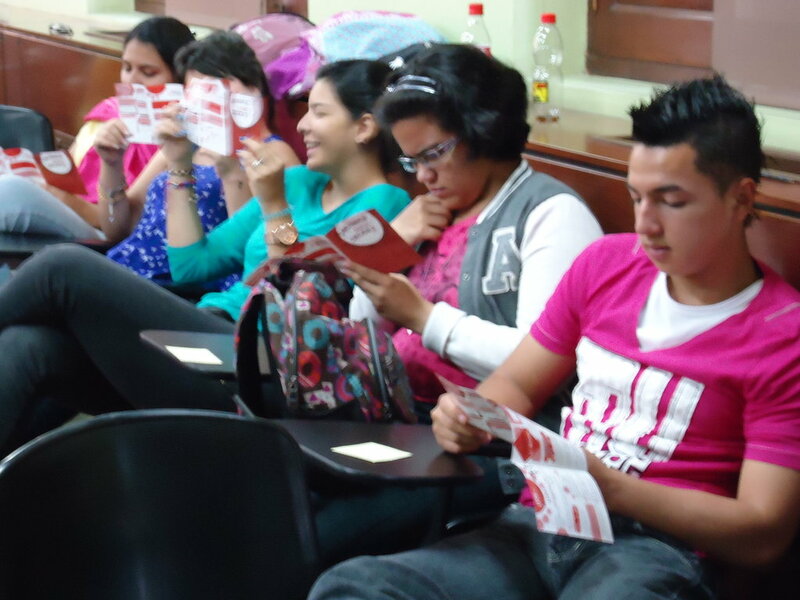 We want to use this last report to thank you, our donors, who constantly supported us in our first project ever partnering with GlobalGiving: "1800 young in Medellín sensitized to HIV: a hope"
We managed to reach 1950 students with face-to-face workshops on HIV, STDs and sexual and reproductive health. We designed an itinerant educational exhibition (Know and decide) with and for young people. 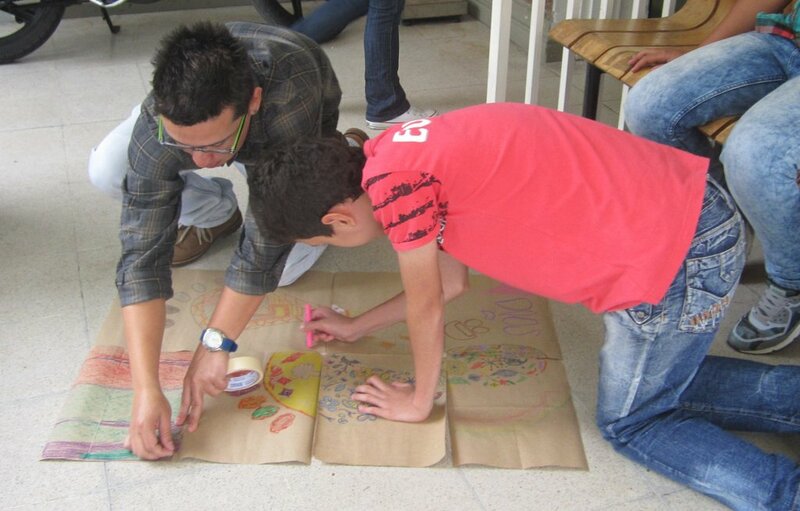 We impacted 5907 young people in various educational institutions in the city of Medellín. We are happy with the achievements and teachings we had thanks to this project, which would not have been possible without your support. After all this achievements, it makes sense for us to give this project a closure and move forward with our next challenge. For that aim, we need your help! We would like to invite you to continue accompanying us in our next project partnering with GlobalGiving: "EDUCATING ONE PERSON, SAVES MANY FROM HIV", which will be aimed at young people from the surrounding, underprivileged rural areas near Medellín. 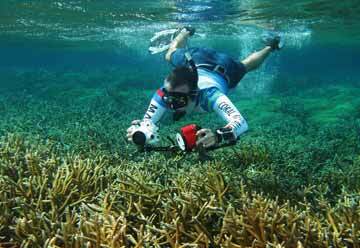 Design an educational video that we can continue sharing with various educational institutions. We launched this project only 22 days ago and we are still far from reaching our goals. We would very much appreciate your help and feel free to share the project with your friends and family! We have seen our hope for 2015 come true: today we have many more young people sensitized about the HIV infection and who will be protected thanks to your help, but...we still have a lot of work to do! Statistics, a new alliance and challenges ahead! This time, we wanted to summarize the reach of our prevention and sensitization campaigns funded by you – our supporters. 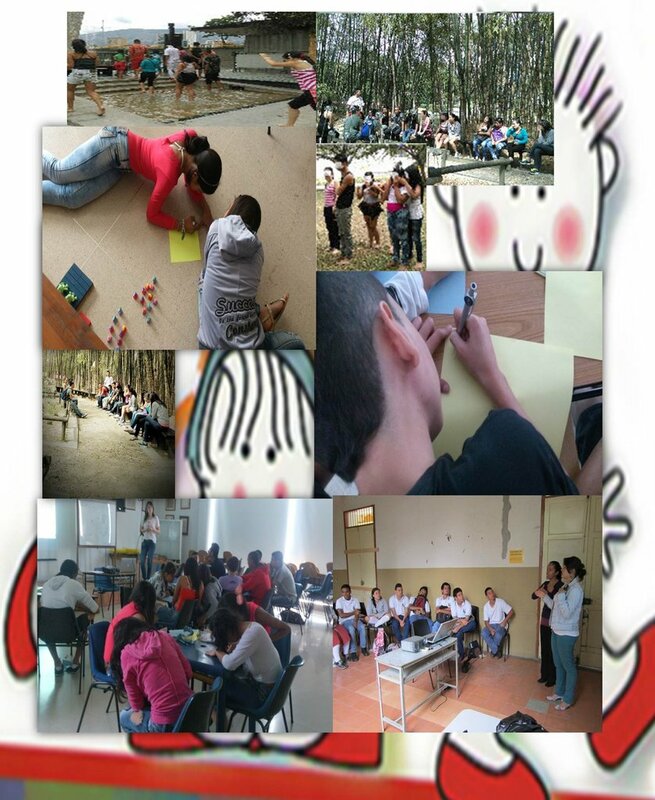 The project titled “1800 young in Medellin sensitized to HIV: a hope” has been active for 2 years now, widely fulfilling all of our expectations. Alone in the first semester of 2018, we managed to bring our workshops to 585 young people in the city of Medellín and its surroundings. 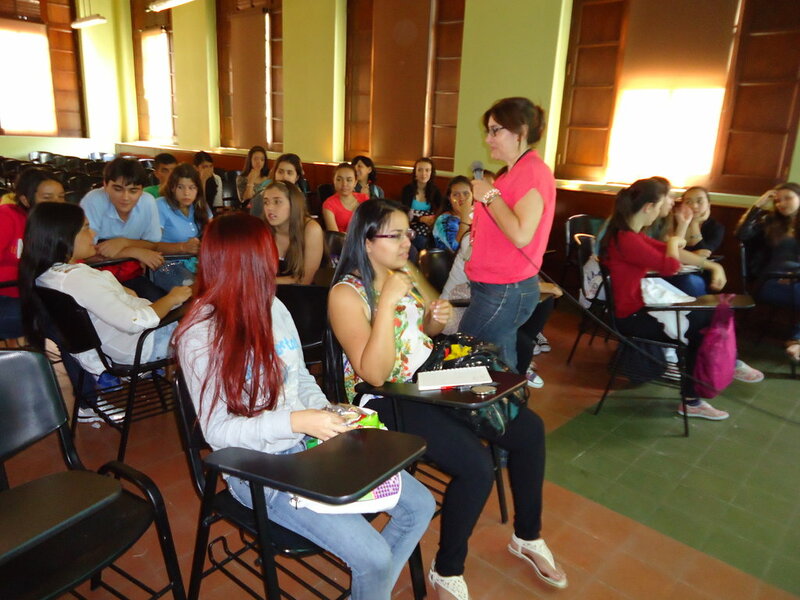 In the Tulio Ospina high school, we conducted workshops for 121 students. 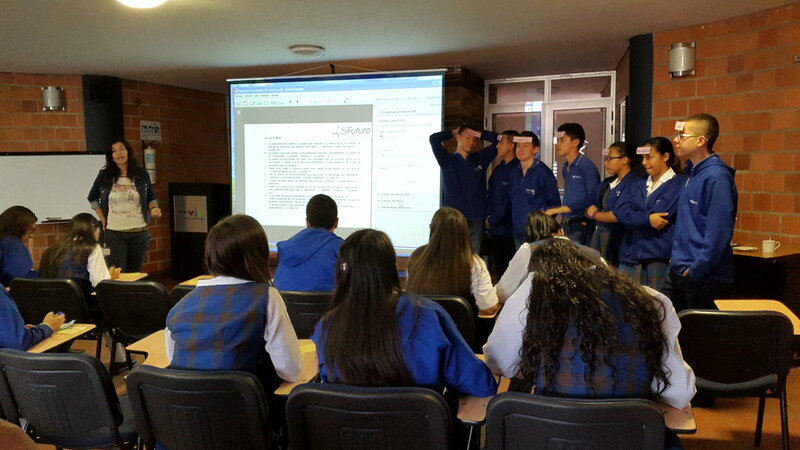 In the Alfonso Mora Naranjo high shool, we conducted workshops for 101 students. 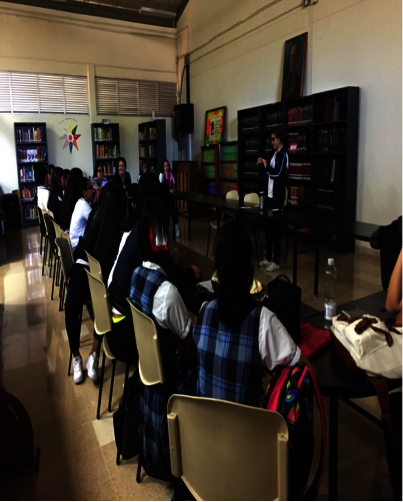 In the San Lorenzo de Aburrá high school, we conducted workshops for 203 students. 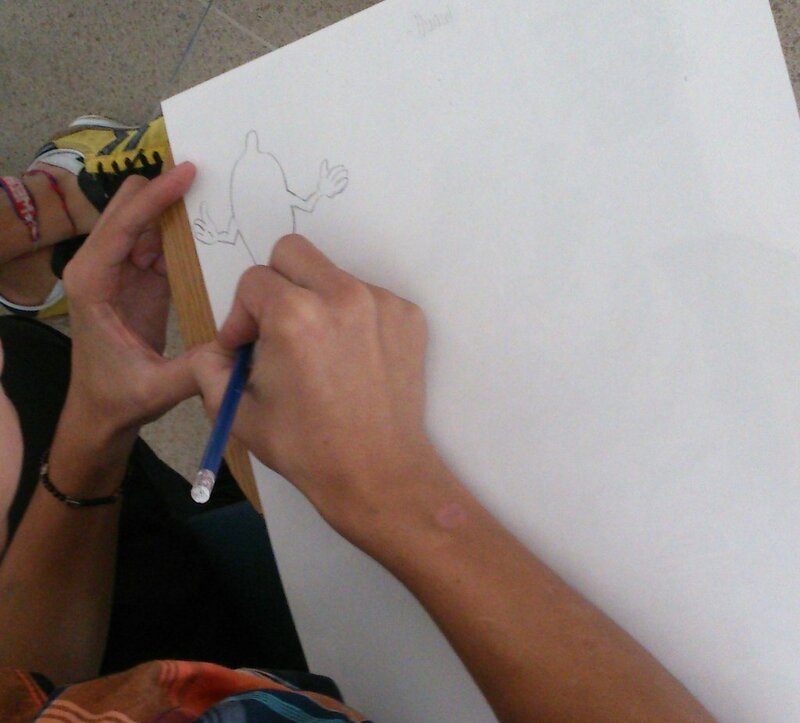 In the José Manuel Gómez Serna high school, we conducted workshops for 160 students. First session: HIV / AIDS awareness workshop: Why do we take risks if those can be avoided? Second session: Academic discussion led by professional volunteers of the immunovirology research department of the University of Antioquia – one of our long-time academic partners. Third session: Creative workshop: where we use art as a form of expression and collective learning, sharing experiences and collecting messages surrounding the topic of sexual and reproductive health. The itinerant exhibition we financed with the resources raised in GlobalGiving is also a cornerstone of our workshops. In order to benefit the entire educational community during the time of intervention, the exhibition is taken to the schools and left there for a certain period of time for students to reflect on its messages. The exhibition is composed by 12 publicity pieces that illustrate HIV prevention messages in a creative and contemporary way aimed at reaching our target audience. 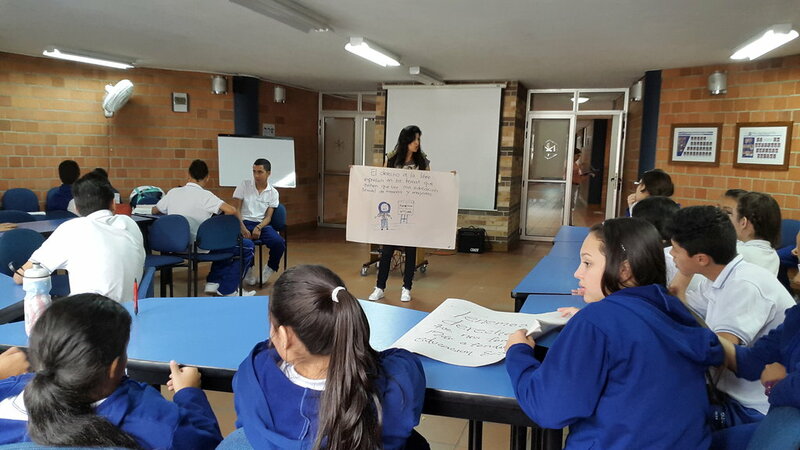 The aforementioned workshops had the support of the Ministry of Education of the Mayor's Office of Medellín through the Protected Environments School Program, prioritizing 7 educational institutions. Its purpose was to carry out educational and preventive actions during the first semester of 2018, and in this way strengthen sexual education projects contributing to the development of early warning mindsets in young people. This alliance allowed for the development of coordinated work with state-funded psychologists in each institution, integrally addressing the issue of sexual and reproductive health. Just for you to know, we will be closing this project soon. You cannot begin to imagine how grateful we are for your support: it has allowed for thousands to be sensitized about the HIV infection in the city of Medellín reducing stigma and having a long-term impact intended to improve the acceptance of infected individuals. As you know, we already fulfilled the specific targets of this project. Nevertheless, preventing the spread of HIV and sensitizing young people about the infection is an ongoing task and something we strive for. 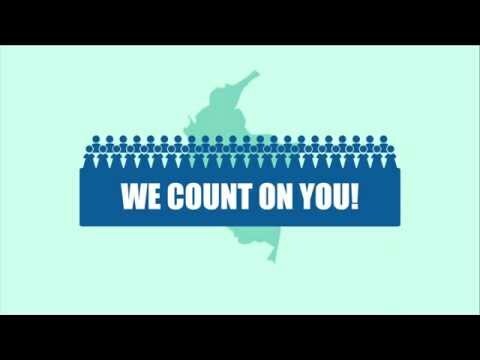 That is the reason why we want you to stay tuned because a new project aimed at expanding the geographical reach of our sensitization workshops to the regions of Colombia will be launched soon and we need your help now more than ever! 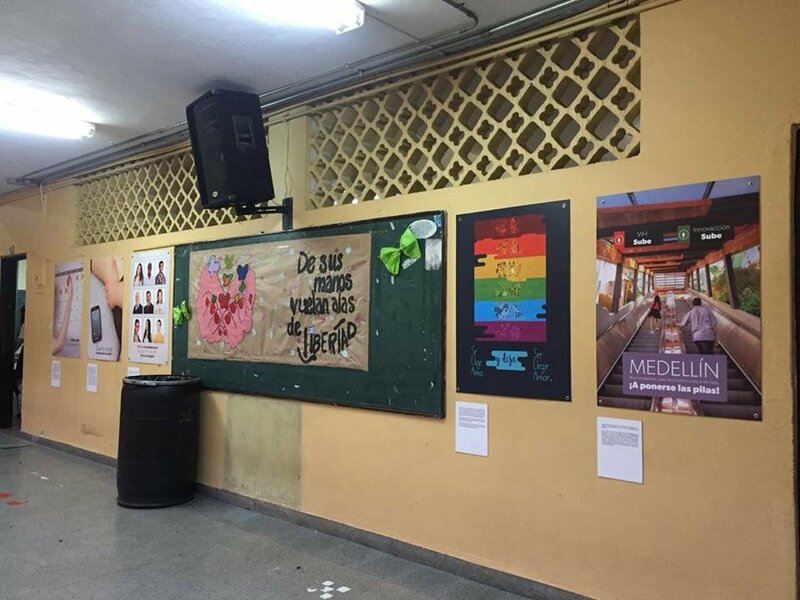 We wanted to tell you that our itinerant prevention and sensitization exhibition, financed with the resources raised in GlobalGiving, continues to have a positive impact in the city of Medellín. The exhibition is now in the Alfonso Mora Naranjo public school. The school is located in the Campo Valdés neighborhood of the city of Medellín and hosts hundreds of students. 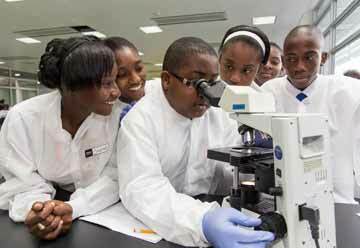 Primary and secondary education levels are offered in the state-financed institution. 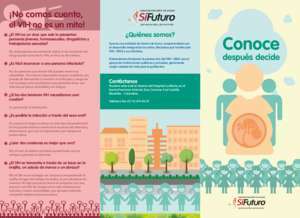 The brochure explores the differences between HIV and AIDS, the ways in which the infection can be transmitted, how the infection is diagnosed and treated and discusses some myths revolving HIV. The ulterior goal of this campaign is centered at raising awareness of the infection while making an emphasis on the importance of prevention. The educational brochure is available for download in our GlobalGiving portal: please help us expand its reach by sharing it! It is initially available in Spanish but we expect to have an English version soon. 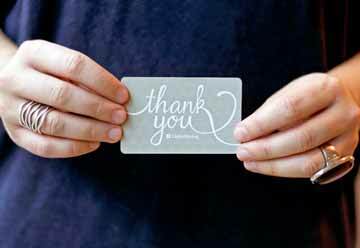 In the last week of the year 2017, we are extremely grateful for all the help we obtained from you: our Global Giving Donors. 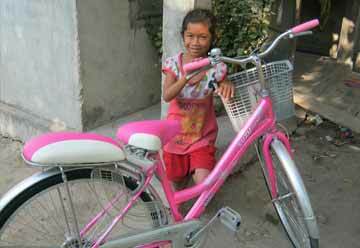 Thanks to your help, we were able to widely fulfill our goals. 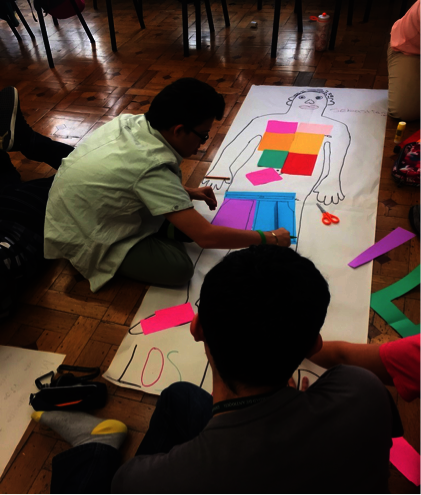 The prevention and sensitization of the HIV infection in the city of Medellin is our mission and an ongoing task we strive for: the only way to do this is with your help. The latter is the reason why we reach to you today. Next year is going to be a year full of challenges for us, in all of our operational lines. We are dreaming big: Next year we will expand the reach of our educational workshops to the wider region of Antioquia, were the city of Medellin is located. We partnered with Fraternidad Medellin, one of Colombia’s biggest charities, who offered to co-finance all of our workshops in isolated communities all over the region. They want to match our Global Giving donations, and with the resources raised we are going to make our professionals reach underprivileged communities and schools, with a message of prevention and sensitization. This is something that will require from us an increased logistical capability, since this is the first time we are aiming to reach young people outside of the city of Medellin. Fraternidad Medellín, one of our partners since 2006, was created in 1957 by the initiative of a group of young entrepreneurs who worried about the social problems that began to generate the industrialization of the city of Medellin. Since 2009, Fraternidad Medellín has been developing great impact projects in partnership with public and private entities. Seeking to influence the improvement of development conditions in the Oriente, Suroeste and Urabá Antioqueño regions, Fraternidad Medellin constituted strategic units aiming to enhance education and infrastructure quality. Enhancing sexual education quality is where we are planning on playing a role during the year 2018. Today, the last day of 2018, we ask you to help us spread our dream of reaching more and more young people. Without your help, the growth of our initiatives would be unimaginable. And by the way: Happy New Year!